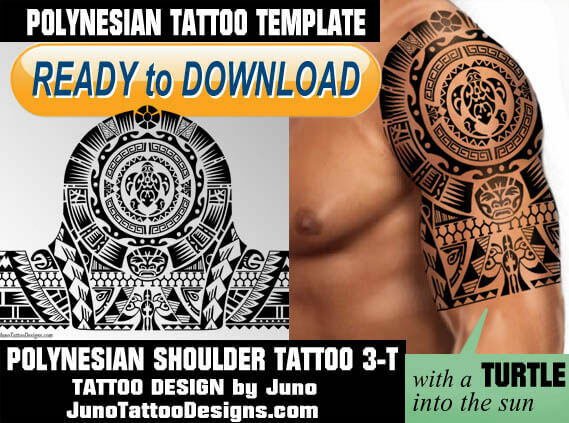 LOOKING FOR A HIGH QUALITY POLYNESIAN TEMPLATE for your TATTOO READY TO USE? I love to create tattoo designs and templates in Polynesian style. On this page of my Tattoo Shop online you can buy a finished tattoo design and stencil. Choose the Polynesian tattoo design that you love ready to use. Choose the design that you love. 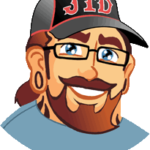 Receive in your email account the tattoo design and stencil that you love ready to make the tattoo in any tattoo shop of your area. 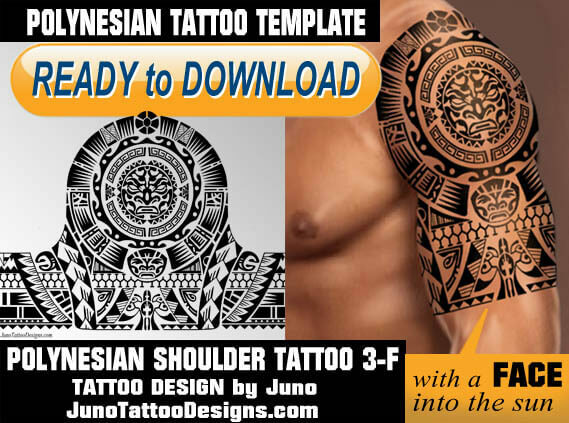 Polynesian Tattoo with Sun and Turtle – SHOULDER TATTOO TEMPLATE ready to USE! Polynesian tattoo 2 – Tiki Face and Sun – Polynesian Shoulder tattoo template ready to use! 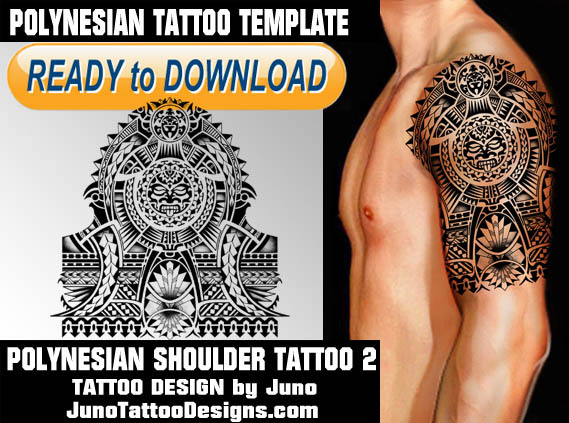 Polynesian shoulder tattoo 2 (Product Code Poly-Shou-2). Polynesian Shoulder tattoo 3-Turtle , with a TURTLE into the sun. (Product Code Poly-Shou-3Tur) Original template size: male wraparound upper arm. Polynesian Shoulder tattoo 3-Face with a TIKI, Warrior face into the sun. (Product Code Poly-Shou-3F) Original template size: male wraparound upper arm.